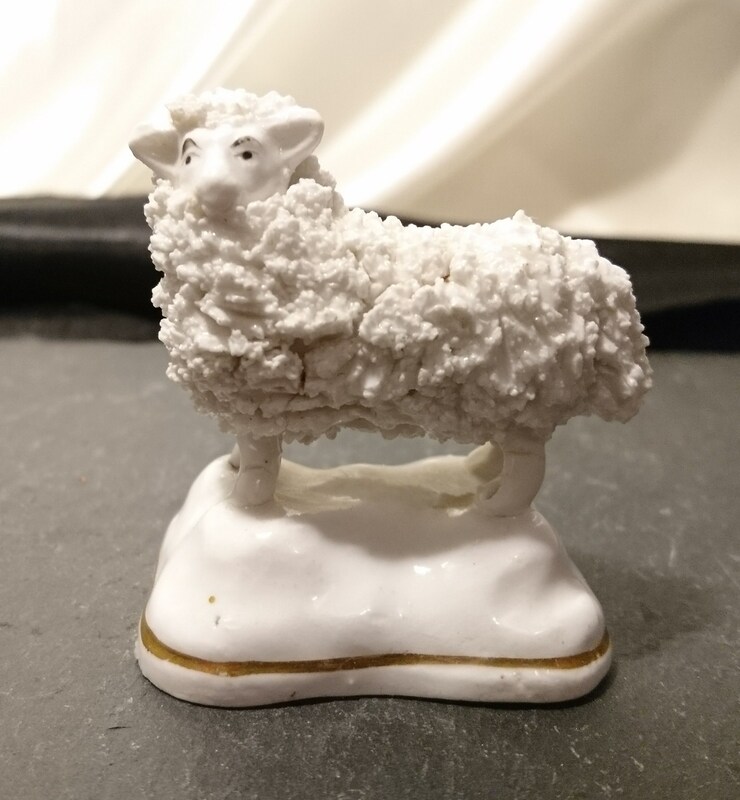 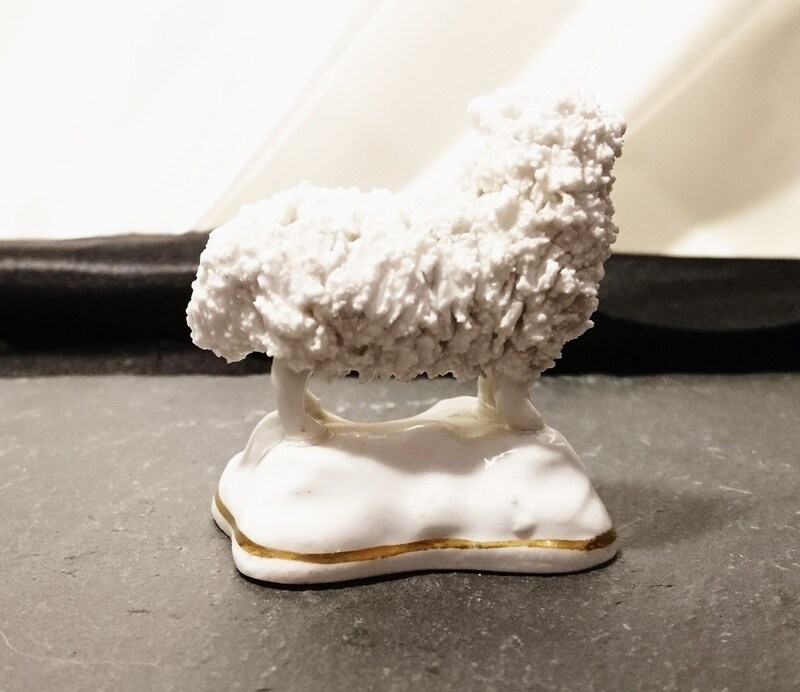 A charming 19th century English Staffordshire pottery model of a sheep. 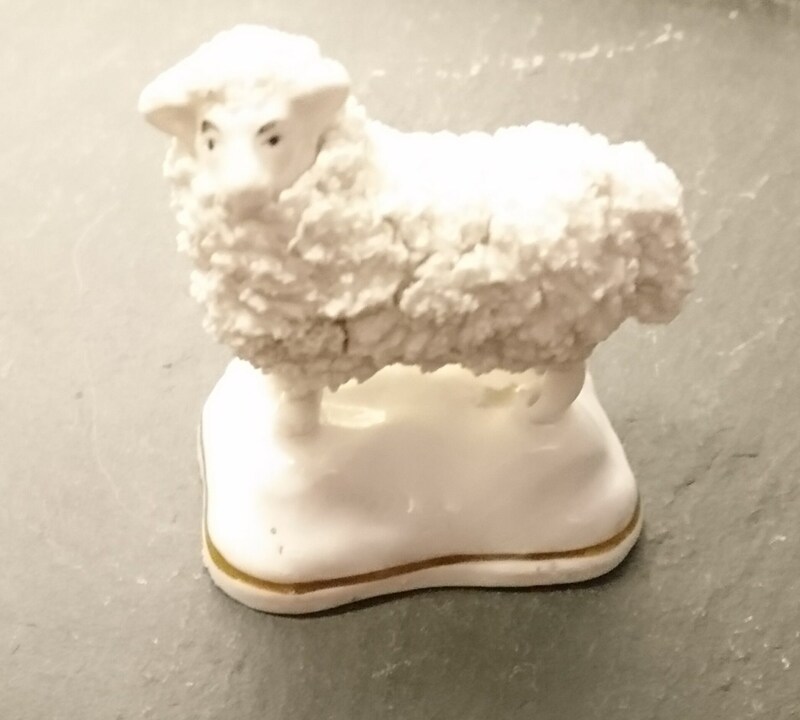 It is solid, white earthenware, glazed, the wool created with shredded clay, he has black detail on the eyes and a gilt rimmed base. 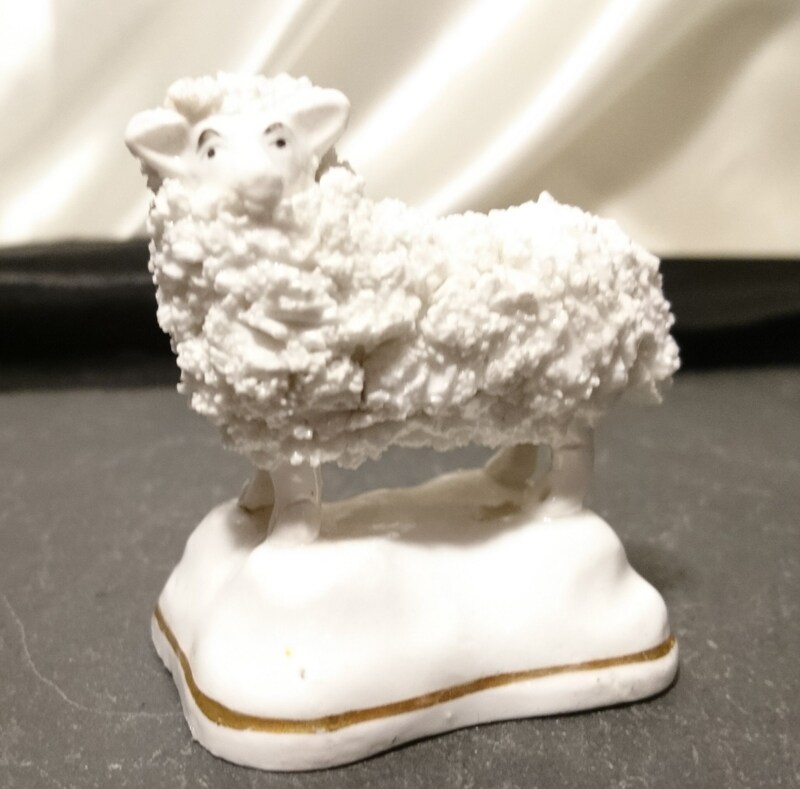 Made in England c1830 a charming little Staffordshire figure in very good antique condition. 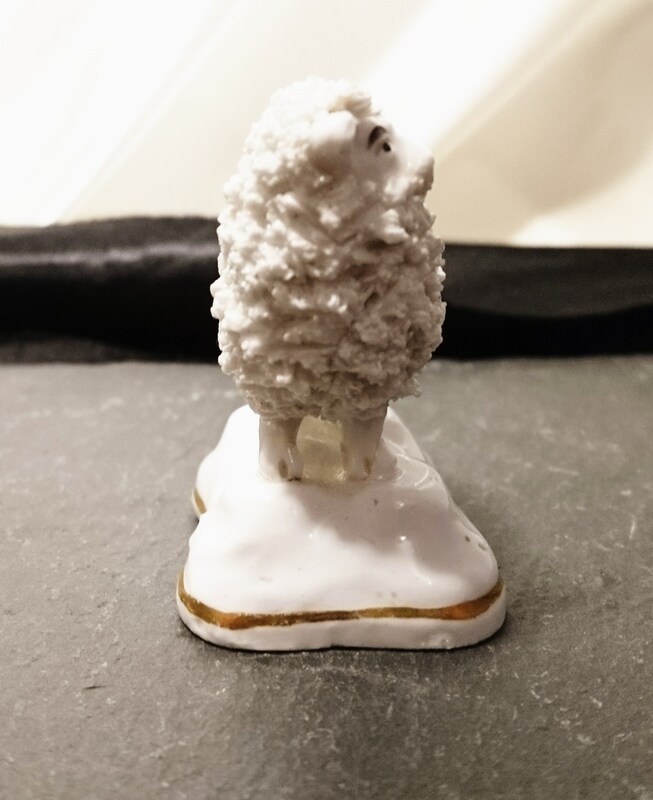 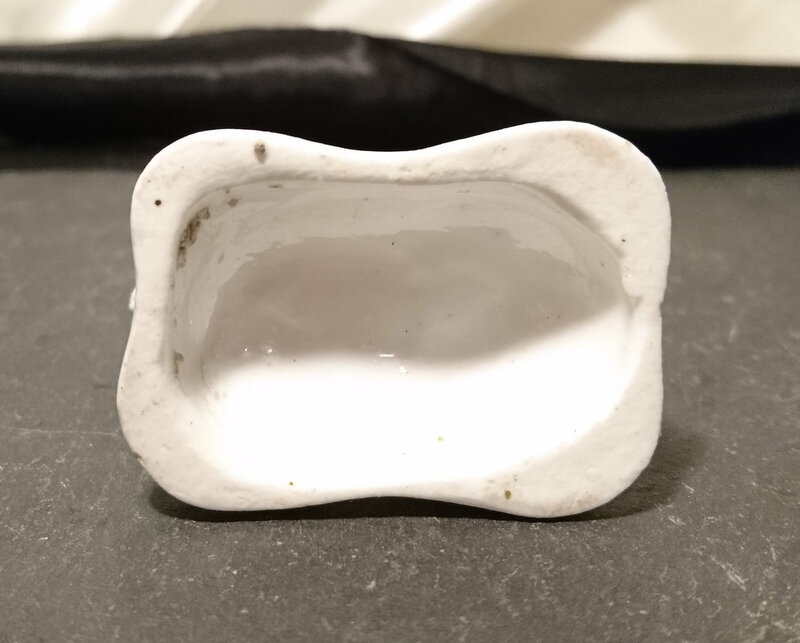 A lovely little piece perfect for the collector and small enough to fit to the decor of any room. 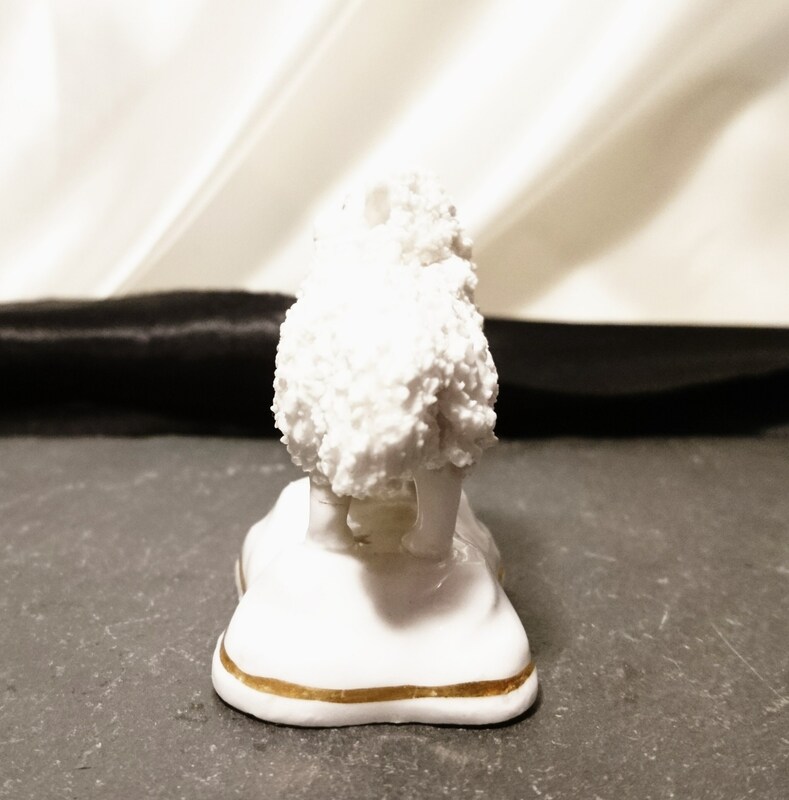 Approx 2" height, just under 2" width and 1" length.